On this day, WWI Veteran / Judge / Brother Adolph Eilert Wenke, U.S. Army (school affiliation unknown) was born in Pender, Thurston County, Nebraska. Little is known about Brother Wenke’s military service except that he served in the U.S. Army during World War I. If you have any information regarding this SigEp patriot I look forward to hearing from you. Correction of last week’s entry regarding Brother Meissner: Jimmie Meissner is regarded by many as the father of the Alabama Air National Guard. The word “father” was inadvertently left out. This day marks the last day of service of WWII Veteran / Congressman / Brother / Major Herbert Birchby Warburton, U.S. Army (DE Alpha / University of Delaware ’38) as general counsel, Post Office Department (07 NOV 1957 to 20 JAN 1961). Brother Warburton was in ROTC at University of Delaware and commissioned a second lieutenant, and then began active Army duty as a first lieutenant of the 122nd Antiaircraft Battalion in SEP 1941. Subsequently, 1LT Warburton graduated from Command and General Staff School, Fort Leavenworth, Kansas in SEP 1945, and became battalion commander the next month. In DEC 1945, he was relieved from active duty as a Major. WWII Veteran / Governor / Brother John Arthur Love, U.S. Navy – pilot (CO Beta / University of Denver ’38) died on this day in Denver, Colorado. He was 85 years old. In addition to his bachelor of arts degree, during his time at University of Denver Brother Love was editor of the student newspaper, The Clarion, during his senior year, and he was also elected president of the Rocky Mountain Collegiate Press Association. World War II would interrupt his civilian career. While very little is posted in the public record about his military service, Brother Love was awarded the Distinguished Flying Cross twice during his service to his country. When the war was over, Brother Love returned to Colorado Springs and began a law practice. Brother Love had a long and distinguished career of service to the people of Colorado. In 1960 he was a member of the Colorado Republican State Central Committee, and in 1963 he began 10 years of service as the 36th Governor of the State of Colorado. If it wasn’t for some dogged determination and a lost bid for office, Brother Love may have never became Governor of Colorado. In 1962, when John decided to run for an office, his bid to become El Paso County Republican Chair failed by one vote. Shortly after this unsuccessful attempt, he decided to run for governor so that he could at least make his name more well-known in the political arena. “Surprisingly (these words are from his online bio), he won the primary battle against the longtime legislator and Speaker of the House, David Hamil.” At this time in state politics, Coloradans were looking for a change in their leadership. In addition to being a moderate Republican, Brother Love had no particular cause or agenda to promote, and while he was new in politics, he had no past record to defend and, as yet, few enemies. This gained him broad based support, and he beat the incumbent, Stephen McNichols to become the first Colorado governor to be elected to three terms. 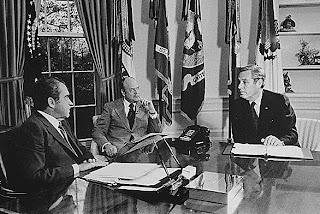 In 1973, Governor Love resigned his position to become the nation's first Director of the Office of Energy Policy (nicknamed the "Energy Czar") in the administration of President Richard M. Nixon, but resigned this post after five months due to much political bickering and feeling like he did not have enough to do. The upheaval of the Watergate scandal and the subsequent resignation of Nixon possibly influenced his decision to return to the private sector where he took a position on the board of directors for the concrete and potash maker, Ideal Basic Industries. He would later become the CEO of the firm while remaining counsel to the Denver law firm of Davis, Graham & Stubbs, and in addition taught history at the University of Northern Colorado. In addition to Sigma Phi Epsilon, his associations include the American Bar Association, Rotary, American Legion and Omicron Delta Kappa. Brother Love was cremated and the location of his ashes is unknown. Iraq War Veteran / Brother / Staff Sergeant Jonathan Kilian Dozier, U.S. Army (TN Theta / Middle Tennessee State University) was laid to rest on this day with full military honors in Arlington National Cemetery in Section 60 Site 8727. Last year, three NC Delta SigEp Patriots died within days of each other, two on the same day. WW II Veteran / Brother P. Adger Williams, U.S. Merchant Marines & U.S. Army (NC Delta / University of North Carolina ’51) died on this day at the age of 81 in Hilton Head, South Carolina. Following high school, he joined the Merchant Marines and then served in the Army in WWII. At UNC, he graduated Phi Beta Kappa and belonged to Sigma Phi Epsilon. Brother Williams retired as senior vice president and actuary for Travelers Insurance Co. He also served as president of the American Academy of Actuaries. WWII Veteran / Brother Samuel Mallette Gattis III , U.S. Marine Corps (NC Delta / University of North Carolina ’50) of Hillsborough, North Carolina died on this day at the age of 84. Brother Gattis retired after a long career as the first county manager of Orange County. He was named North Carolina Manage of the Year. Vietnam War Veteran / Brother / Major Robert Monroe McWhorter, U.S. Army (Retired) (NC Delta / University of North Carolina ’65) passed away in Summerfield, Florida at the age of 71. In his military career, he was a paratrooper and a weapons system operator. He completed 137 combat missions in Southeast Asia. He belonged to Sigma Phi Epsilon and AFROTC at UNC. After retiring from the U.S. Army with the rank of Major, Brother McWhorter worked in the banking industry. Information as to where respects can be paid to these dedicated patriots was not found, and if you have any such information a comment on this blog would be greatly appreciated. SigEps Who Serve recently learned that congratulations are in order for Brother Chris Costello, U.S. Army National Guard (VA Beta / Virginia Commonwealth University) who was just promoted to Private First Class. Chris reports that he spends each drill weekend with a Recruit Sustainable Program where he assists with the presentation of training classes for new privates as they prepare for basic training. Keep leading from the front PFC Costello!